This post is in connection with the October Synchroblog. Participate in the Synchroblog to write on like-minded topics. Anxiety? Worry? Depression? Insomnia? These are things many people struggle with on a daily basis. Of course there is a lot of stigma surrounding these issues. What do you say when someone asks you how you're doing? "Hey Justin, how are you doing buddy?" But what I'm really thinking is.. well, I'm kinda sad right now and I'm not sure why. I'm tired too. Super tired. I keep thinking about things from the past and feel depressed, and occasionally I think about things in the future and feel anxious. So I'm really kind of a mess today. Of course I would not say that out loud. Why? Because I don't want any advice. I don't want a pep talk. I don't want my friend to "worry about me." And I don't want to make him uncomfortable. But it's there. Sometimes I need so badly to tell someone, but I can't. A lot of the time, that's a snapshot of what it's like with mental illness. Everyday can be a struggle. 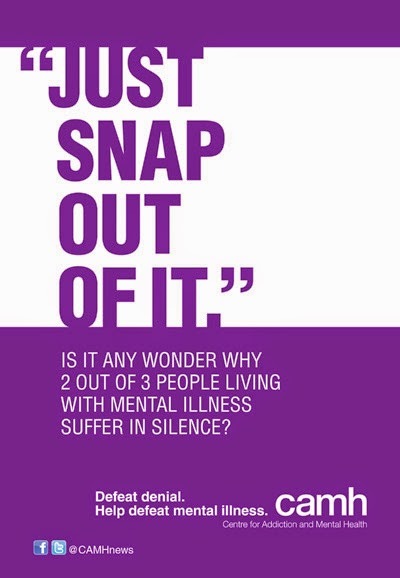 Mental illness is a very real concern for many, many people today. It's a silent struggle. Because in our "5 step to success" style consumer society, we all put on shows. We play pretend, and the game is "I'm perfect." We all pretend like we have no problems, and suffer in secret. And that leads to loneliness. Well I refuse to play games. I have issues! And it's ok to have issues! I struggle with mental illness. Big deal. Sadly the perfect mask often occurs in the church as well. When people play righteousness, or holier than thou, a church rapidly degenerates into nothing more than a weird social club. Sin is hidden. Secrets abound. No one can be honest. And effectiveness in ministry drops by leaps and bounds. Mental illness is real. Sadly, in some churches if you bring it up you'll get the "it must be hidden sin in your life or you'd always feel great." That is entirely false. The Psalms show again and again, Christians will struggle. The entire New Testament is full of mentions of Christians having to endure trials and suffering. The Old Testament as well. Consider the story of Elijah and his victory over the false prophets of Baal. He had just achieved an incredible victory over the false prophets. Yet he received word that someone wanted to kill him, and it was like the straw that broke the camel's back. He fled and endured depression. Yet he had done nothing wrong, he was simply struggling with the ups and downs of life. Sometimes I've had enough! Just like Elijah. Sometimes I'm depressed. And I go to my cave and feel sad. Worry, anxiety, difficult feelings... Probably the most important thing someone with mental health issues needs is a loving friend. They need someone to listen without judgement. They need someone to acknowledge them, listen, and tell them that they are understood. One last thought on mental illness.. I'm an introvert. And being an introvert is a wonderful thing. Unfortunately my introverted style of life, wanting to write and read and spend time alone was misinterpreted by my dad as a mental health problem when I was 10. I was put on prozac. That mindset of "take a pill to fix a problem" and "there is something wrong with you" spiraled. One could say Ritalin was a major contributor to my parents divorce a few years later, as my dad pressed to experience the cures of psychiatry. Then after, I looked to doctors and pills to solve my mounting problems. I became addicted to Ambien. And I continued to throw pills of all kinds into my mouth, to solve my mental health pains and troubles until 10 years later I'd destroyed my whole life and had overdosed twice and been declared a danger to myself and/or others by the legal system. Thankfully, Jesus Christ saved me from that. It's all about Jesus. It's all about God. Christianity. I had been prescribed over 30 different medications over those years. I had been in outpatient counseling, in-patient facilities, over and over and over. But all the psychotherapy in the world was useless without Jesus Christ and the words of the Bible to make recovery possible. That was the problem all those years, I tried to overcome those issues with the very best meds and therapy. But it was all useless until Jesus Christ changed my heart, and filled me with power to truly seek out and put into practice the solutions out there. It was a nightmare to be in that repeating loop, that repeating disaster. I wish someone had told me during those years that I needed Jesus. But then again, I probably wouldn't have listened anyway. Mental illness is real. It affects millions every year in this country. It's not sin. Though we all do sin. It's illness. And it needs treatment. Therapy is useful. Some medications are useful. But unless the spiritual life guided by Jesus Christ is present, it's often wasted effort. So during this month of mental health awareness, hug a depressed guy or gal. Listen and learn. Simply be there. Don't worry about what to say, just listen! 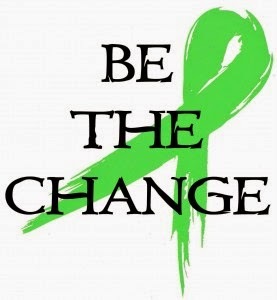 Support someone will mental illness in your area. And if you're like me, someone who struggles with depression, anxiety, and sleep problems, I have a message for you: You aren't alone. God loves you, I love you. I get it, I really get it! Your pain has meaning, and I know you're of a special few to our Heavenly Father. Celebrate Recovery Group Locator - for support with addiction, mental health, sexual health, eating disorders, etc. Alcoholics Anonymous - for support for people struggling with alcoholism. Al-Anon - support groups for those affected by alcoholic family or friends. Others include Nicotine Anonymous, 1-800-QUITNOW (for tobacco), Overeaters Anonymous, Emotions Anonymous, Smart Recovery, and many others! Inquire locally.